“M” sent in her fractal tattoo. 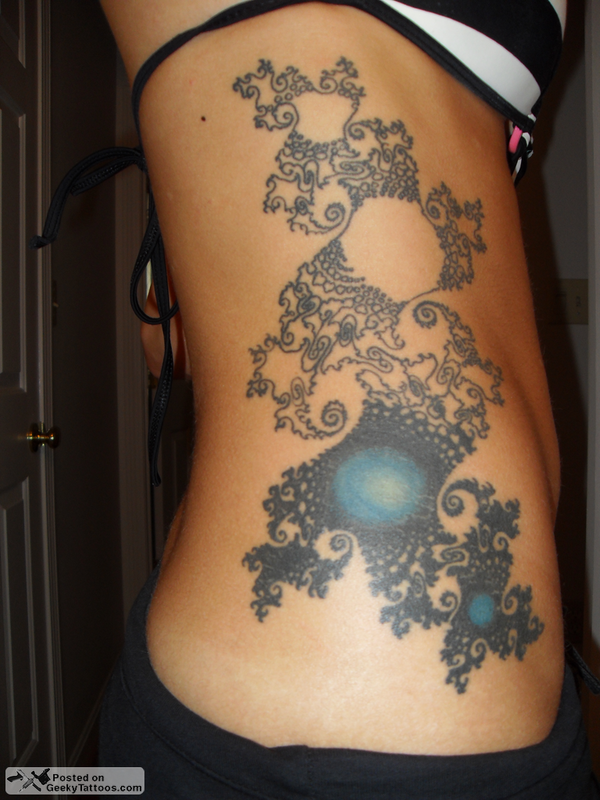 She studied the mathematics of fractals in a Chaos Theory class in college and had always wanted one as a tattoo. After some difficulty finding an artist up for the challenge of such an intricate design, she finally found some willing to give it a shot. Unfortunately the piece is only partially done since she had to move midway through. In theory it’ll never be done though, right? For those that aren’t math geeks, this is a Julia Set fractal, closely related to the more well known Mandelbrot Set. All I know is it looks a lot like that time I ate some candy from a stranger at a rave. I woke up the next day naked in a field surround by cows that only spoke German. Talk about awkward. Tagged with fractal, ribs, side. That looks amazing! You should re-post it when you're done!